specifically designed for non-digitizing staff in a retail embroidery shop or production facility. 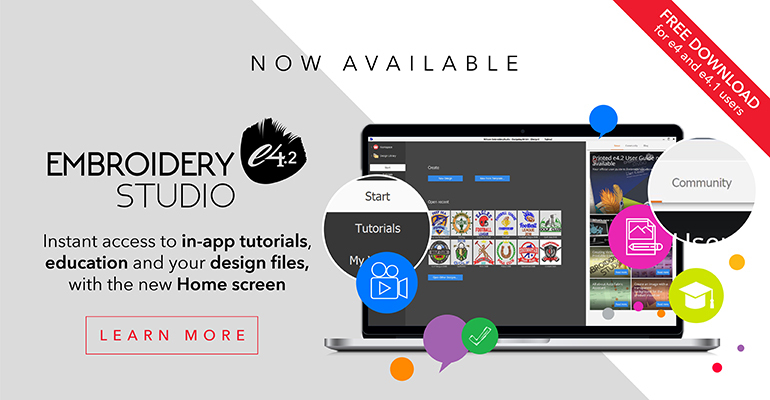 Create professional quality naming and lettering designs quickly and easily without the need for a digitizer. Combine lettering with resizable logos or stock designs. 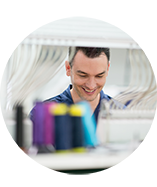 Automate repetitive jobs with the Team Names feature and automatically send stitch files to the embroidery machine. 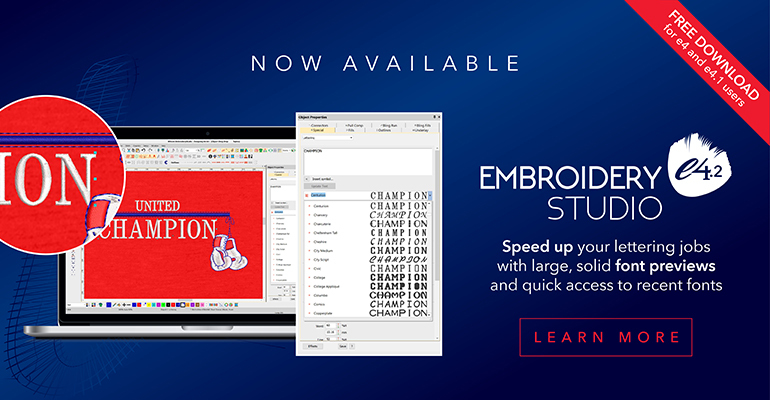 combines all the features of EmbroideryStudio e4 Lettering with advanced embroidery editing capabilities. Full editing control over .EMB object properties allows for recoloring, reshaping, and resequencing of all design objects. 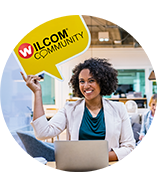 Change densities and other settings to suit different fabrics or sizes. 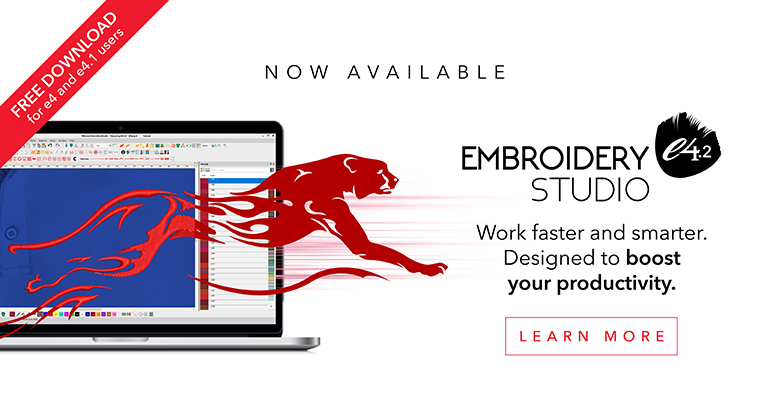 Correct small technical mistakes or incorporate simple customer changes without sending it back to your digitizer, saving time and increasing your embroidery expertise.